The Johnson GEO Centre Foundation has donated to Memorial University the infrastructure and assets of the Johnson GEO Centre , including GEO Park and other adjacent lands under lease from the provincial government, effective April 1, 2019. First opened to the public in 2002, the Johnson GEO Centre is a geologically focused science centre located on Signal Hill in St. John’s. Designed to be a “showcase of Earth and space,” it was developed by the late philanthropist Dr. Paul Johnson, with assistance from some Memorial University Earth Sciences faculty members. “The Johnson GEO Centre Foundation’s board of directors is delighted to see the centre become part of Memorial University,” said Bruce Grant, chair of the board. He said the offer of the gift to Memorial was driven in large part by a need to finalize the affairs of the estate of Paul Johnson, which has continued to fund the operations of the centre through the Johnson Family Foundation. Under the terms of the gift agreement, the name of the centre will continue as Johnson GEO Centre , recognizing the important legacy of its founder, businessman and community benefactor Dr. Paul Johnson. 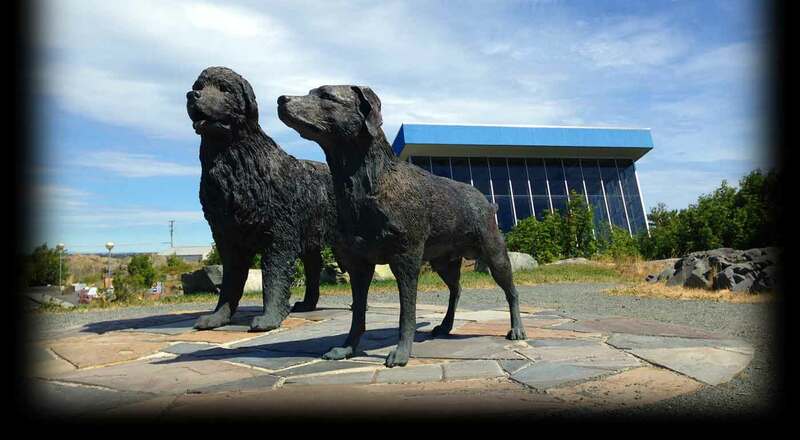 The Johnson GEO Centre draws approximately 50,000 visitors each year and is the site of about 130 events annually. The value of the Johnson GEO Centre and assets is estimated at more than $20 million, which would make it the largest single gift ever received by Memorial University. Memorial University accepted the generous donation after completing an assessment of the synergies, facilities, operations and finances, and developing a business case premised on the university being able to operate the centre on a cost-neutral basis. Acceptance of this extraordinary gift of property required approval by the university’s governing Board of Regents and, in this case, necessitated approval by the provincial government, in accordance with The Memorial University Act. President Kachanoski thanked the provincial government for its support for this initiative. He also thanked Johnson Inc., the St. John’s-based insurance firm that has facilitated and supported the transition of the Johnson GEO Centre into Memorial University, honouring the legacy of Paul Johnson, whose family founded the firm. He added that the Johnson GEO Centre will become part of Memorial’s Signal Hill Campus and the university’s operation of the centre will be the responsibility of its Public Engagement division. The management of the Johnson GEO Centre is being added to the duties of the director of the Memorial University Botanical Garden and the centre’s conference and events activities assigned to the director of the Signal Hill Campus. All facilities and events booking contracts in place at the time of the transfer will be honoured and these clients will be contacted by the new management within the coming week to confirm arrangements. Upon recommendation of the Johnson GEO Centre board, centre staff have been offered short-term employment in their current roles while the university conducts a human resources review. “An event to celebrate this extraordinary gift, and the donors and partners who helped make it a reality, will be held at a later date,” Dr. Kachanoski noted. For further information, please contact Dave Sorensen, communications, Memorial University, at (709) 685-7134.